Signed books, learn how to find, buy, and collect them. a book that includes an author's signature. A special thrill for many book collectors is the ownership of signed or inscribed books, to see and hold that long-desired signature of that famous person we have always admired. Browse a selection of signed rare books with a personal touch, autographed presidential biographies, renowned first edition novels signed by Nobel Prize Winners, golf legends leaving their imprint on their works, and many others. If your preference is for a signed book or for an association copy with a short note, a personalized dedication in addition to the signature, you can always rely on our guarantee of authenticity, for all of our books. A signed book is a sought-after collectible for a bibliophile, and it can add exponential value to a book collection. Whether you’re just beginning your collection or are a seasoned collector, what should you consider when looking for and purchasing a signed book? What’s the best “type” of signature? Below is a brief guide to collecting signed books, including a glossary of signed book terms and a guide to finding signed books. Scroll to the bottom of the post for a list of noteworthy signed books to add to your collection today. -Dedication Copy – A dedication copy is a book signed by the author on the dedication page and inscribed with a note to the person to whom the book is also dedicated. A dedication copy is perhaps the most highly sought after of all signed books—and often the most valuable—as usually there is only one of these books in existence for any particular title. -Association Copy – An association copy is a book signed by the author and inscribed with a note to someone significant. This person is either significant to the author or significant in popular culture. For example, a scarce association copy of Umberto Eco’s Opera Aperta (The Open Work) is one that is inscribed and signed by Eco to his bibliographer, James Contursi. Other examples include inscriptions to a notable close friend of the author, a president, another author, etc. -Presentation Copy – A presentation copy is a book inscribed by the author and distributed to its recipient as a gift from said author. Numerous types of presentation copies exist, and a discerning collector should note that some presentation copies hold more value than others. Naturally, if a book is signed and inscribed by the author and dated close to the publication date of the book, it will carry more weight than if all variables were the same but the book wasn’t dated, or it was dated much farther from the publication date. -Inscribed Copy – An inscribed copy is the term used for a book with an author’s signatureand a general inscription. For example, books signed at an author’s book signing event or signed in bulk by the author (and including a notation such as “With warm regards,” or “This is the favorite of all my books,”) are considered inscribed copies. Many collectors confuse a presentation copy and an inscribed copy or will use the term presentation copy when they are really discussing an inscribed copy. The key difference is the author’s intent to give a presentation copy as a gift, as opposed to simply inscribing a book, say, at the request of a fan. - Signed – A plain signed copy is one that is signed by the author and doesn’t include any other inscription or notation on the page. 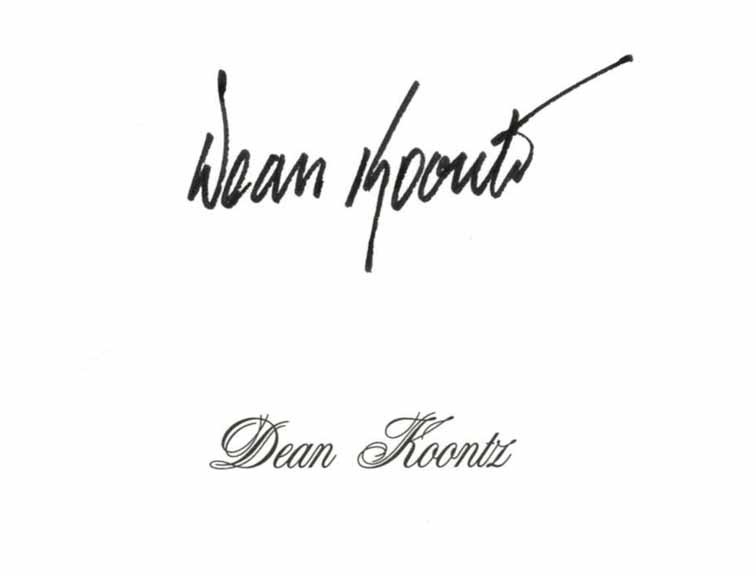 -Autopen Signed – An autopen signed book often comes into the equation when discussing books signed by presidents or other famous individuals who have in their possession an autopen, or a machine which automatically signs the president’s or dignitary’s name with a mechanical arm-like feature. Autopen signatures do not carry value. Where to Buy Signed Books? Once you know you’re on the hunt for a certain signed book, or if you are just browsing to see what you may find, where should you look? Of course you can try your luck at rare book stores the world over. In fact, we’ve run a series on numerous places around the globe to stop in and see if you can find a hidden signed book treasure. You can also find signed books at rare book auctions and, of course, book fairs. However, in this day and age, it’s likely that you’re looking primarily online for your rare book finds. The online book buying and selling world is both a blessing and curse. It’s a blessing because of the sheer number of books at your disposal, and the unprecedented access to books from around the world right from the comforts of home. That same access also makes it a curse because it is much more difficult to verify the authenticity of a signed book with the myriad of book sellers and book selling sites on the web today. It would be tragic to spend a large sum on what you thought to be a valuable, signed copy of a book you are looking for, only to later find that the signature was forged. While it’s nearly impossible to guarantee the signatures and inscriptions on books unless you saw the author make them, there are ways to protect yourself from forgeries. How can you ensure you’re not duped? Browse and buy only from accredited sources. The most highly regarded bookselling agencies are the International League of Antiquarian Booksellers (ILAB) and the Antiquarian Booksellers' Association of America (ABAA). To become members of either organization is a rigorous and time consuming process. You can be assured that book sellers who have gained the stamp of approval of the ILAB and the ABAA are honest in their book dealings. What’s better, signed or inscribed? To verify a signature and inscription's authenticity, scholars will study numerous other handwriting samples from the author. As a result, some may argue that a signature plus an inscription is more valuable than just a isolated signature because it allows for more comparison to other samples to ensure its authenticity. This is especially true for the signatures of those who have passed away. Others maintain that a signed-only book is worth more than say an inscribed copy signed on an author’s book tour “To Aaron, With warmest regards, Stephen King”. Why? Because if anyone other than “Aaron,” takes possession of that book, it becomes much less personal and an almost throw-away inscription. Many find the happy medium and say that it’s better to collect books that are signed only if the author is alive and the signature is more-easily verified, and on the flip side, if the author is deceased, then going for copies with signatures and inscriptions helps to ensure authenticity. Of course it’s important to keep in mind that a seemingly menial copy of a book inscribed “To Aaron, With warmest regards, Stephen King” may not be so insignificant if Aaron grows up to become King’s biographer, or his protégé, or the owner of one of the largest Stephen King libraries in the world. Simply put, we cannot know what will acquire value as it ages. And to many, the type of signature/inscription they prefer to collect is just that: a matter of personal preference. The authenticity of signed books and signatures in particular is the number one element of the trust a reputable seller of autographed books is hoping to establish and maintain with their customer. * In this Reference Autographs and Signatures section only those signatures are displayed that were obtained in controlled environments from authors and illustrators in our focus areas, only this way we can come as close as possible to a reference signature you might consult for authentication or comparison. Autographs obtained in controlled environments, i.e., in person or directly from the author's agents or publishers or from agents of Books Tell You Why at non-public signing events or issued by the publisher as signed (often limited) editions are the preferred sources of signed books. Where this is not possible, e.g., for signed out-of-print trade editions from deceased writers, intensive analysis and comparison of autographs with other items signed by the author and/or additional hand-written documentation reputable sellers only select those items into their portfolio for which we they can confidently issue a life-long guarantee of authenticity. While mostly maintaining their key characteristics, handwriting and signatures change and develop over time. Autographs provided in signing events can be rushed and can show substantial differences compared with the individual's signature. While we guarantee the authenticity of ALL of our signed books, the usage of signatures obtained in non-controlled environments as a sole source for authentication is not recommended, as a consequence those signatures are not included in our reference section. In his famous essay, “The Work of Art in the Age of Mechanical Reproduction,” (1935) Walter Benjamin describes the “aura” that exists around a work of art that hasn’t been mechanically reproduced (i.e. printed off on a printing press, copied onto a DVD, etc.). The aura, he says, is the element of the work that can’t be replicated outside of its definite location in time and space, giving a ritualistic, almost mystical element that changes the way that we engage with it. This, it seems, in a nutshell, is why we like signed books, and why we often treat them as precious objects of almost totemic significance. 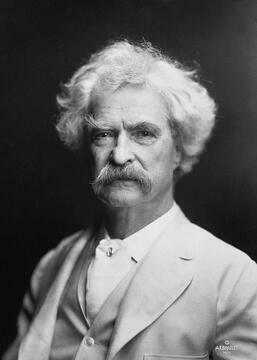 After all, you can get the text of Mark Twain’s The Adventures of Huckleberry Finn (1884) off the internet and print out as many copies as you want, but a signed edition can’t be copied in the same way. If it gets damaged or destroyed, there’s no way of replacing it in the world. What Kind of Signature is It? Okay, so you’ve found a signed copy of a book that seems like it might make a nice addition to your existing collection. The first thing you need to ask yourself is: what kind of signature is it? Because not all signatures are created equal. Books signed with an autopen, or with a signature that has been added by the printers, for instance, have no added value. When a book contains a signature and nothing else, it’s considered “signed”. These can be valuable, but, contrary to what you might think, they’re often less valuable than “inscribed” copies (i.e. copies that contain a signature along with some other message, like “To Jenny, Enjoy, Stephen King”). Why is this the case? In part because the added text makes it easier to verify the authenticity of the signature (which is another crucial consideration—fake signatures are not always easy to spot, which is why it’s best to make sure you’re getting your books from a reputable source), and in part, again, because of the aura. The signature acts not just as an enhancement, but as a record of a moment in time when the book’s author and reader came together. Of course, not all inscriptions are created equal. The most valuable form of inscription is the “dedication copy,” which is inscribed, usually on the dedication page, to the person whose name actually appears on the dedication page. Slightly less valuable (but still often coveted) are “association copies,” which feature inscriptions addressed to close friends, publishers, agents, and other people important to the author, and “presentation copies,” which are typically inscribed and given as gifts by the author. With this last type, a dated signature is more valuable, with dates closer to publication being the most desirable. How Rare is the Signature? Once you know what type of signed volume you’re dealing with, your next key consideration is how rare the signature actually is. Some modern authors (Ken Follett and Salman Rushdie are often cited as examples) are fairly liberal with their signatures, so signed volumes of their texts might not be worth as much as, say, signed copies of Jack Kerouac’s or J. K. Rowling’s books (the Harry Potter creator has become increasingly reluctant to provide signatures as the years have worn on). 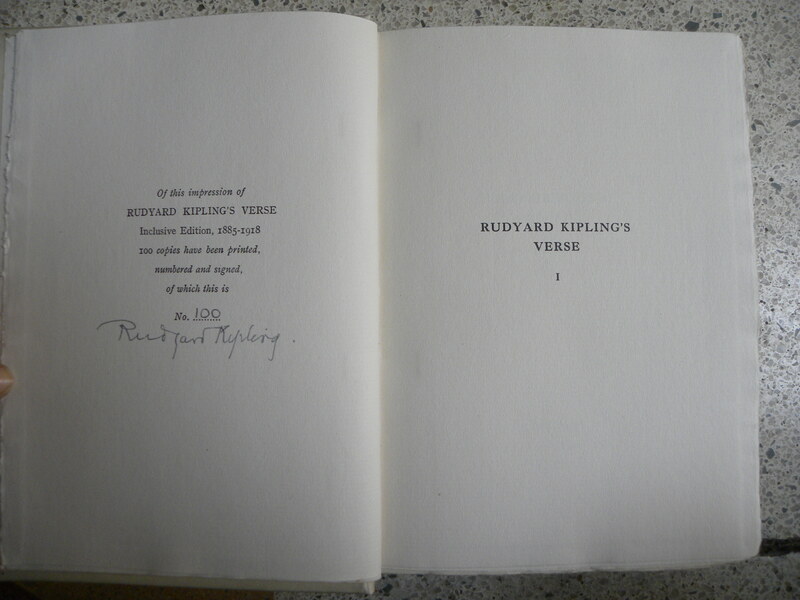 By the same token, some authors are fairly liberal with signatures but less so with inscriptions and association copies. Then, there are notoriously reclusive authors like Thomas Pynchon, J. D. Salinger, and Harper Lee, whose signatures are extremely difficult to find, and are therefore extremely valuable (though, at the same time, possibly more susceptible to forgery). Naturally, as the publication date of the volume in question gets further and further into the past, signatures become less and less common regardless of the author’s temperament or popularity. Thus, an association copy of a relatively obscure Thomas Hardynovel could easily surpass tens of thousands of dollars in value. By and large, whatever your existing collection is comprised of, its value will be enhanced by the introduction of a signed volume or two—but that doesn’t mean that you should rush out and buy signed editions indiscriminately. Instead, think about your goals as a collector. Are you trying to complete a set or maximize the total value of your holdings? You might be in a position to hold out for a particular puzzle piece (i.e. a dedication copy of something to form the crown jewel of your collection). Conversely, your reasons for collecting a particular author or genre might be more personal, in which case the absolute value of one particular signed copy over another might matter less to you. You might decide that, even though inscriptions are technically more valuable, you’d rather not have a book with someone else’s name on it—and that’s okay! It’s your aura, and you can do what you want with it. Books inscribed by their authors are exciting additions to any collection. Yet signed books with movie tie-ins can be particularly interesting when they have connections to award-winning films. If you’re lucky, you might find a signed copy of a novel adapted for the cinema by the original author. And in some cases, you might even find a book that’s signed by one of the actors or actresses who brought characters from works of written fiction to the screen. For example, you might seek out a signed first edition of Charles Portis’s True Grit (1968), which has been adapted into two famous films starring John Wayne and Jeff Bridges, respectively. There are far too many novels with interesting film tie-ins for us to mention in just one article, but we’d like to highlight just a few for you to consider adding to your collection. One of our favorite books with a deep connection to Hollywood is Larry McMurtry’s The Last Picture Show (1966). The first edition of the novel—McMurtry’s third book—was published by The Dial Press in New York. Just a few years later, McMurtry would co-write the screenplay for the film of the same title with its director, Peter Bogdanovich. The narrative is set in McMurtry’s hometown of Archer City, Texas, and follows the lives of a couple of high schoolers, and their experiences in the small North Texas town, in the 1950s. The 1971 film starred a young Jeff Bridges and a young Timothy Bottoms, and it was the film that introduced Cybill Shepherd to American audiences. Cloris Leachman and Ellen Burstyn also played characters originally developed by McMurtry in the novel. What’s so special about a signed copy of The Last Picture Show? First editions are rare, and they’re exciting objects in and of themselves to have on your shelf. And having a copy signed by McMurtry will add immensely to the value of your collection. You should anticipate spending over $1,000 (and often more) if you want to own a first edition signed or inscribed by McMurtry. But in addition to a copy of the novel signed by its author, there are also a number of copies floating around that were also signed by Jeff Bridges and Timothy Bottoms. We love the novels of John Irving, and several of them have been adapted into feature films. 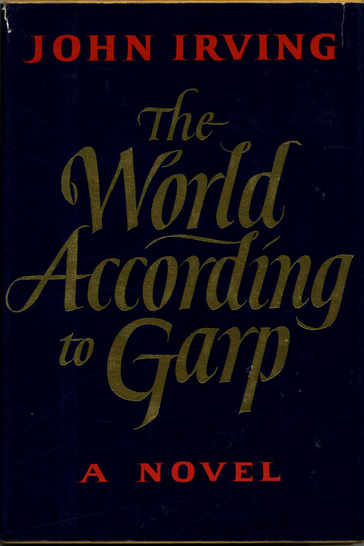 One of Irving’s earliest novels (and perhaps our favorite of his works), The World According to Garp (1978), became a film with the same title in 1982. John Irving co-wrote the screenplay for, and George Roy Hill directed, the movie that starred Robin Williams, Glenn Close, and John Lithgow. This wasn’t the only novel of Irving’s to end up as a much-loved film, however. Several of Irving’s later novels also were adapted for the cinematic screen to much critical acclaim, including: The Cider House Rules (1985), A Prayer for Owen Meany(1989) as Simon Birch, and A Widow for One Year (1998) as The Door in the Floor. In 1999, Irving won an Academy Award for Best Adapted Screenplay for The Cider House Rules, which starred Michael Caine and was directed by Lasse Hallström. But Irving’s movie career doesn’t end with the screenplays he has written for film adaptations of his novels. In 1999, the novelist wrote a memoir, My Movie Business, which details Irving’s experiences adapting The Cider House Rules for the silver screen. A signed copy of any of Irving’s novels would complement your current collection. McMurtry and Irving are not the only novelists—not by a long shot—who have written critically acclaimed books that they have then adapted into screenplays for award-winning films. We encourage you to explore the wide variety of twentieth- and twenty-first-century novels that have been adapted into great works of cinema in the United States and in other parts of the world (the James Bond novels and films come to mind). And of course, those texts will be that much more exciting if you’re able to locate signed first editions. Marginalia:It can be easy to forge signatures, but forging someone's notes throughout the margins of a book is quite the task. Marginalia can provide useful context to corroborate a book's provenance. Book plates:These can be another indicator of provenance, but they shouldn't be relied upon as the only evidence of provenance; book plates can often be replicated easily. For older books, it's also beneficial to see documentation of any restoration done to the book. 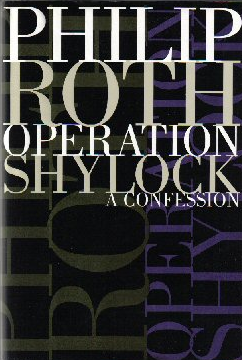 Note that any changes to the book's original condition can impact the market price of a book among discerning collectors. Be sure to find out what's been done to the book, when, and by whom. A reputable dealer will be open and honest with you about any known restoration efforts. Ultimately the most important tool you have to protect yourself is your own common sense. If you have questions or concerns about a rare book's provenance, ask the seller. After all, reputable dealers aren't in the business for single sales; they want to build lasting relationships with their clients. The rarity of both the book and the signature help determine the value of a book. Not all signatures are created equal. In fact, signatures (autographs) and inscriptions fall into a few different categories. A book described as signed has a signature on a page of the book itself. It has no personalization, such as "To Susan." If a book is inscribed, it is personalized, addressed to a specific person. If the person isn't closely associated with the author, the inscription often isn't considered to add too much to a book's value. An association copy is usually an inscribed book that is addressed to a specific individual connected to the author. An autopen signature is often seen with presidential materials. An autopen is a machine used for the automatic signing of a signature. Bottom line: it isn't really a signature and doesn't do anything to the value of the book. Signatures naturally tend to be more common than inscriptions and/or association copies. Contemporary authors often do book signings when they go on tour, thereby increasing the number of signed books available and decreasing the value of signed copies. Of course, only an authentic signature has value. Experts certify that a signature or inscription is authentic by comparing the handwriting to other known samples of the author's writing. The authenticity of signed books and signatures in particular is the number one element of the trust a reputable seller of autographed books is hoping to establish and maintain with their customers. Can you truly "certify" a signature? Only if you have seen the author sign the book and if you never let the book out of your sight. If you just see the signature, you can't; nobody can. You can rule out fakes but cannot do the opposite. You can only confirm that it is highly likely for a signature to be authentic by comparing it with existing signatures. For a number of signatures available for comparison purposes, see our collection of reference autographs and signatures. Want even more information? Click the links below.